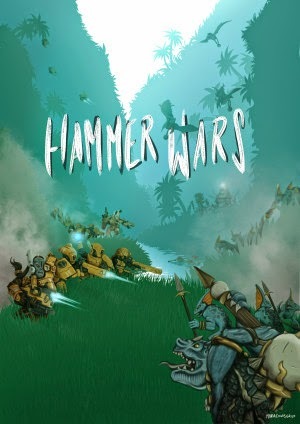 Over on onepagerules.wordpress.com, you can check out "Hammer Wars" which is described as " a small-scale miniatures wargame inspired by RTS video games. 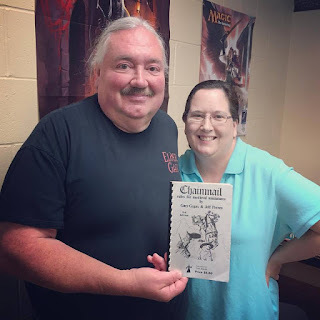 In an alternate universe where battleships from the 41st millennium have crashed on the warhammer world, get ready to fight where fantasy meets sci-fi." See more here.